My vintage tweed Fender Champ is powered by three vacuum tubes – a 6v6GT, a 12AX7 and a 5y3GT. Since vacuum tubes aren’t an everyday occurrence these days, have you ever wonder how a vacuum tube actually works? They are the heart and soul of a vintage guitar amp. There is just something so compelling about technology that you can actually see and feel working (glowing, getting hot). I found these old video clips from the 1940s. They are from “Electronics at Work,” a film made in 1943 by Westinghouse. 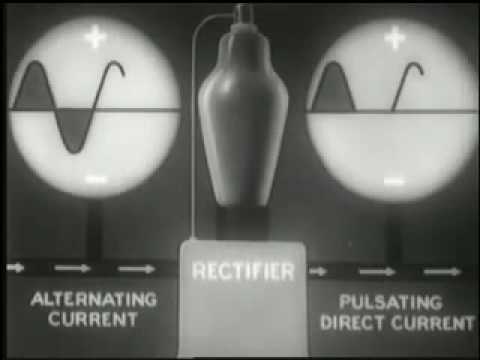 I love watching old educational video clips (because they make me feel slightly superior) and they do a better job explaining what is going on inside a vacuum tube than I could ever hope to do on my own. This is the first part in a three part series. Hope you like it as much as I do.